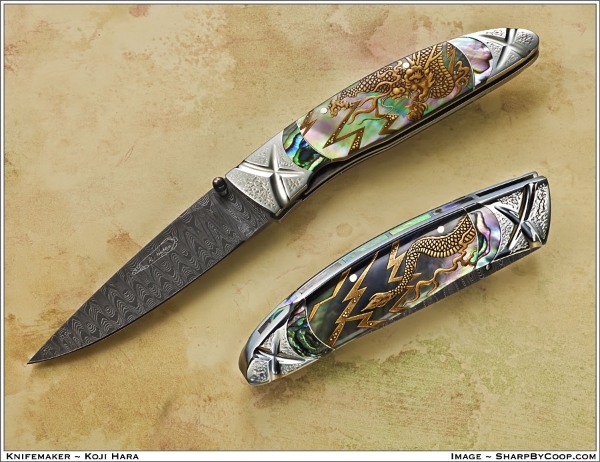 A native of Japan, Koji Hara was born in 1949 in Imari City, and is one of the most traveled of Japanese knifemakers, attending shows throughout his home country as well as over the United States and Europe. When he began making his first knives in 1988, they were his versions of Bob Loveless designs. Three years later he held a one-man knife show in Seki City, Japan, the heart of the production cutlery industry. It was at this point in his career that he realized he had to make and sell knives of his own concept and design if he was going to succeed. In 1994 Koji had become a Probationary Member of the American Knifemakers Guild, and in 1997 a Voting Member. During this period he was participating in at least five American shows per year, and would soon be attending shows in Europe. 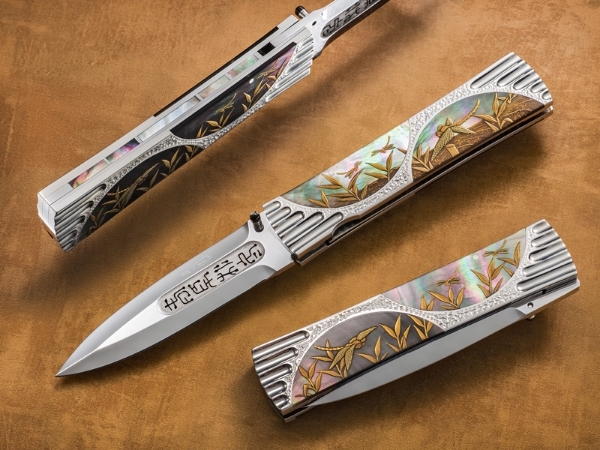 Annually, this prolific maker attends two knife shows in Japan, in addition to having maybe two one-man shows, usually in smaller communities, where collectors don't visit the larger cities. He feels these small shows enable more and more people to become familiar with custom knives. He has received awards for his folders such as "Best in Show" and "Most Innovative" in several international knife shows. Koji primarily uses a powdered stainless steel known as Cowry-Y, made by Daido Steel in Japan, for his blades. It holds an excellent cutting edge and polishes to a high mirror finish. Although one of the drawbacks of powdered steel is its weakness towards lateral impact, this can be corrected through proper heat-treating. Koji also makes knives featuring ATS-34, D-2, 440C and other steel blades, based on customer preference. His preferred method of making blades is via stock removal. A folder specialist, he often carves the handle material into a terraced landscape to feature his classic "Air-Step" design.